The trigger point injection is an innovative pain management tool able to relax muscles that knot up and irritate nerves. 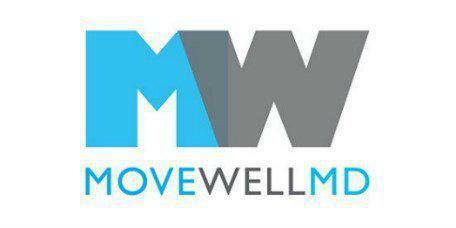 The medical professionals at Move Well MD in lower Manhattan, New York and New York's financial district offer this option to patients needlessly suffering from referred pain or a form of myofascial pain. Just one knot is enough to cause chronic local or referred pain. Trigger point injection may be all it takes to relieve it. Referred pain means pain that you feel in one part of your body, but the source of it is coming from somewhere else. A good example of this in action is arm pain that sometimes occurs when a person is having a heart attack. The problem is with the heart but the arm pain, although seemly unrelated, is a symptom. Often referred pain is the result of pressure on sensitive points triggered by muscle knots. This is a chronic pain disorder that occurs when the muscle contracts repeatedly and then fails to relax. The knot in the tissue puts pressure on a nerve causing pain there or that radiates to another location on the body. The sensitive area in the muscle that causes this pain is called a trigger point. Injections into that site, trigger point injections, can relieve the tension and ease the pain. Are there risk factors for this kind of chronic pain? Triggers are distinct, so what causes pain in one patient may not bother another. During the evaluation, Dr. Gruen talks with each patient to get a sense of what might be causing the knots. Along with trigger point injections, the care plan may include lifestyle changes and physical therapy. Dr. Gruen or another medical professional at Move Well MD inserts a small needle into the trigger point containing an anesthetic, saline or possibly a corticosteroid. The goal is to make that trigger point inactive, reducing both the direct and referred pain. A number of injections to that same spot will usually provide pain relief that lasts.